Since the founding of the French National Federation of Harvesting Contractors in 1922, the National Congress has been held annually (interruption between 1940 and 1949). The National Congress allows agricultural, forestry and rural contractors to discuss current issues of interest to the industry. It is also an opportunity to raise awareness of the sector vis-à-vis local economic and institutional partners. Each year, the National Congress is organized in a different region by the local sections. The organisation of this event offers entrepreneurs in the region the opportunity to highlight the specificities of their professional activities and their businesses. 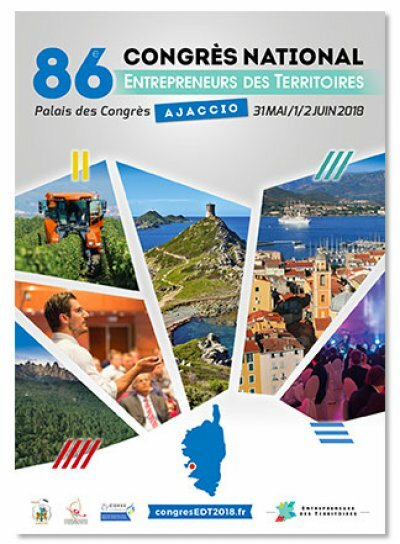 The 86th Congress will take place this year in Ajaccio in the beautiful island of Corsica, from 31st May to 2nd June 2018.